If you never saw my tweet recently, the next few reviews are going to be a bit basic with less waffle and me just getting to the point if they are worth your time or not. I'm doing this simply for the fact I want to get them done and dusted. 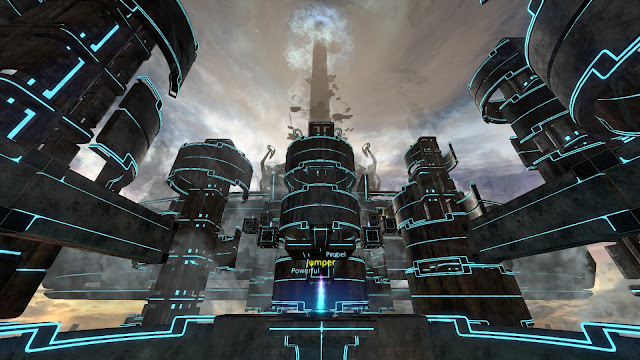 DeadCore has been one of the games which has had me going back and forth on my thoughts on the game, making for a tough final review that I'm typing today. 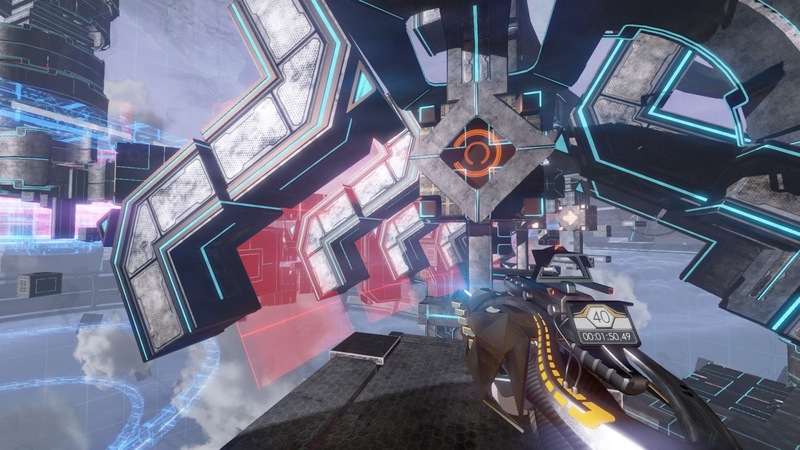 DeadCore is one of those games that will see a mixture of feelings from gamers who decide to pick it up, partly thanks to the mixture of genres that make the game up. Part platformer, part puzzler, part driving you bloody crazy. DeadCore has been one of those games which has challenged me to levels that I've not seen since surface since playing Dark Souls, a game which I felt like I was headbutting a digital wall on repeat. The game sees you given a level that has a start and an end, with your goal being to get there by any means possible. While the first level eases you in gently (sort of), I'm now at a point where I'm expected to do a number of things just to get across to another platform. As you work your way through these levels you are unlocking new skills that you will need, so things like dash, double jumps, and a gun to shoot objects all start coming in to play the deeper you get. Like I said, I'm currently on a section which requires me jumping onto one of the many jump spots which have a boost pad on them and then dash through lasers and repeat (click here to witness the pain). I've hit my wall after a good hour of trying now, making the game something I'm just failing to enjoy anymore. For those that want a such a challenge, the game offers a decent amount of levels, with the option to then speedrun them once beaten to try and do well against others on the leaderboards. Each level also has things to find by exploring, so things like logs and tracks are there if you fancy taking a look around. Overall: I personally just stopped having fun with DeadCore within the first few hours, with the difficulty ramping up to a level that seemed to have the simple goal of just wanting to pi** you off. DeadCore just became something I stopped feeling the need to want to load up anymore. If you like a challenge though, the game might be something that you could enjoy. Don't think this is for me. Watching videos of it looks frustrating, never mind playing the game!